One of the usual challenges of online newspapers or magazines is streamlining content in a more readable and user friendly format. Because of the verbose or content-heavy nature of these sites, careful thought needs to be made in creating a theme layout that employs clever typography skills and information management techniques to create content that is readable and easy on the eye. Visual cues need to deliberately designed and strategically placed to draw attention to the most important sections of the site despite being bombarded by tons of images and information all at the same time. Because we are living in the digital age, careful thought and consideration also needs to be given to the never ending technological race to release the latest device or gadget where these websites will be accessed. A well organized layout eliminates clutter and confusion and creates a pleasant navigational experience for visitors. This creates the impression that the people behind the publication are professionals and consequently adds credibility to the magazine’s reputation. Carefully chosen fonts and font sizes also add to the overall readability of the site and will hopefully encourage casual readers to become loyal subscribers. Every publication is different. Each one has specific requirements based on their own reader base. Some formats may work for a certain season but become dated in the next. Magazine WordPress themes should be flexible enough to handle different layout configurations without much ado. One viable solution is to integrate a Drag and Drop feature to give website owners flexibility to reconfigure their websites and switch design elements around easily. One of the benefits and yet at the same time one of the disadvantages of a magazine styled theme is that more content is featured on the front page. The homepage is filled with images and content to gain maximum exposure and accessibility. Perhaps more and more Magazine WordPress Themes will be designed with alternative options to use infinite scrolling single page templates to ensure that all posts will be given equal amount of exposure. This also eliminates the need for more clicks from visitors. The mobile web revolution has forever changed the way people access the internet. Online publications hosted on WordPress should be responsive or have that option available to them. Devices and gadgets are constantly evolving therefore Magazine WordPress themes need to be in step or be able to adapt to these technological changes quickly. The lifeblood of print publications is in advertising. The same holds true for online publications. As these websites increase in size and readership, more and more resources are required to maintain it like hosting space, multiple authors and contributors, maintenance costs, etc. 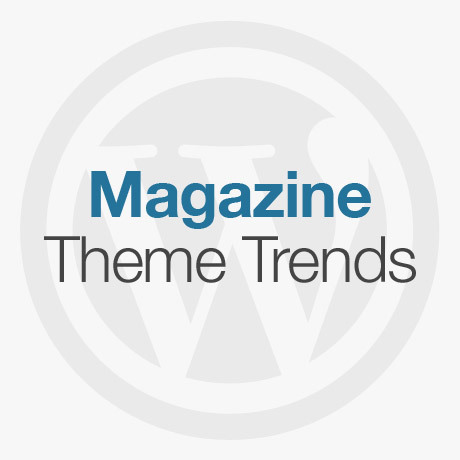 Magazine WordPress Themes authors need to design with these considerations in mind and give WP theme users backend options to monetize the site. Provision for and management of ad blocks or affiliate links should be standard built-in features already. People love to voice their opinions and having this feature built into a Magazine WordPress theme encourages interactivity. This helps increase site traffic and later on adds credibility and authority which is translates into higher ranking sites as well. The Internet is an international marketplace represented by people from all around the world. Magazine WordPress themes need to be translation ready to take advantage of the untapped global target market. The digital revolution has already eaten up a great chunk of the print generation but there is still room for growth. Although there are some printed materials that digital can never replace, those that can, will definitely benefit from this paperless trend we are seeing.